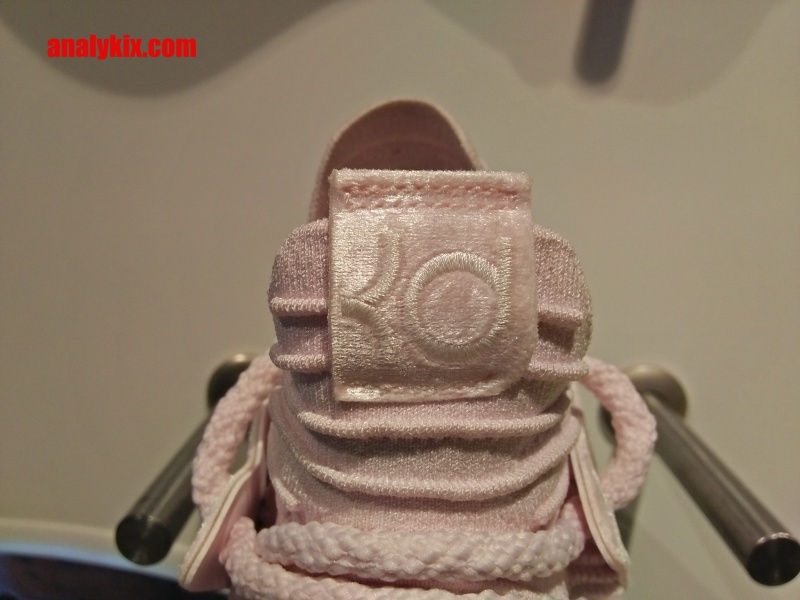 Here are more detailed images of the Nike KD 10 "Aunt Pearl" that I was able to scope at Titan Vertis North. 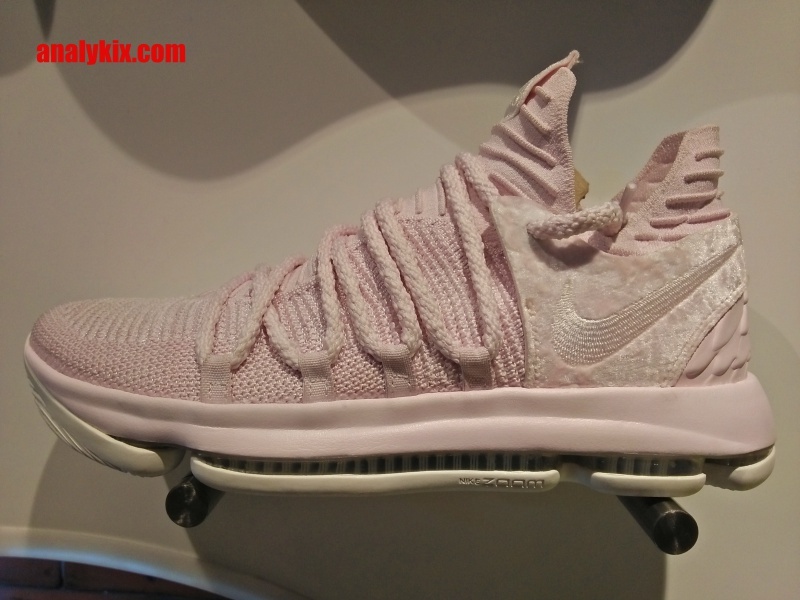 Sporting a light pink to upper all throughout, it is too clean to be brought in the court for a good run. 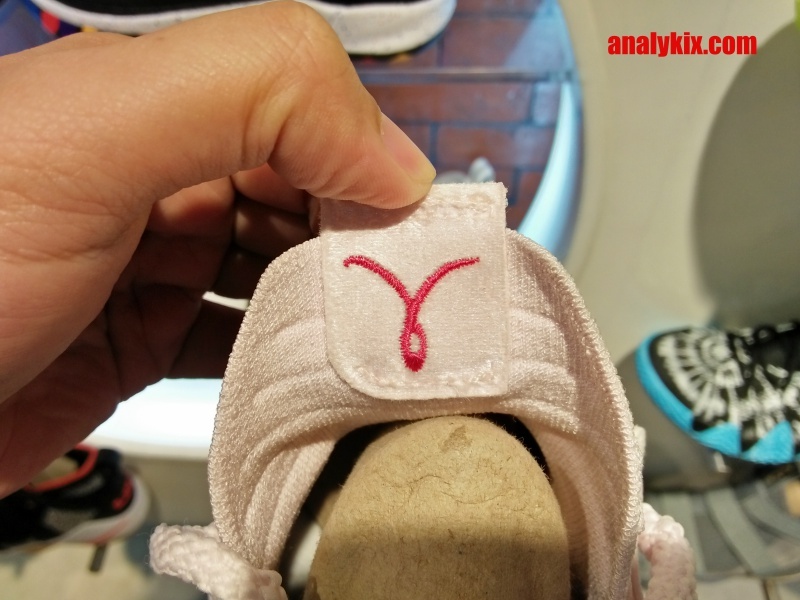 It is a nice colorway make no mistake, it's just one of those kicks that you want preserve its cleanliness and not to attract some dirt or might get stepped on. I mean come on, it's looks like a good piece of delicate fabric. 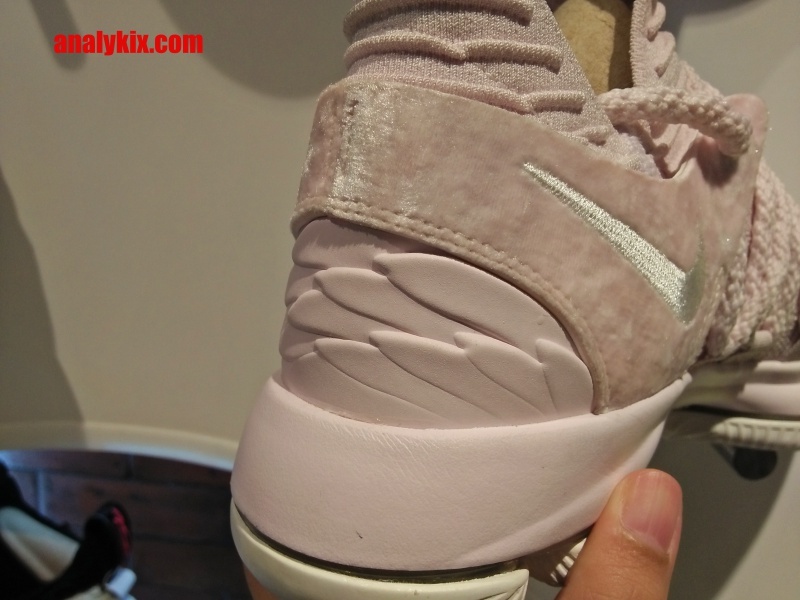 Just look at that velvet-like material on the ankle area. 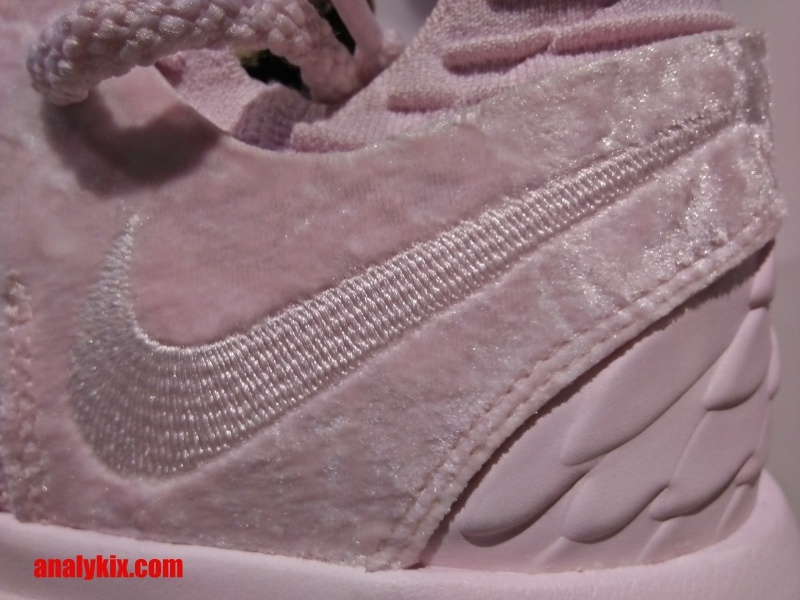 The wings design which is a common design piece of the Aunt Pearl colorway is present and is located at the heel counter area. Serene and calming as it looks, these are good to go for some serious balling. 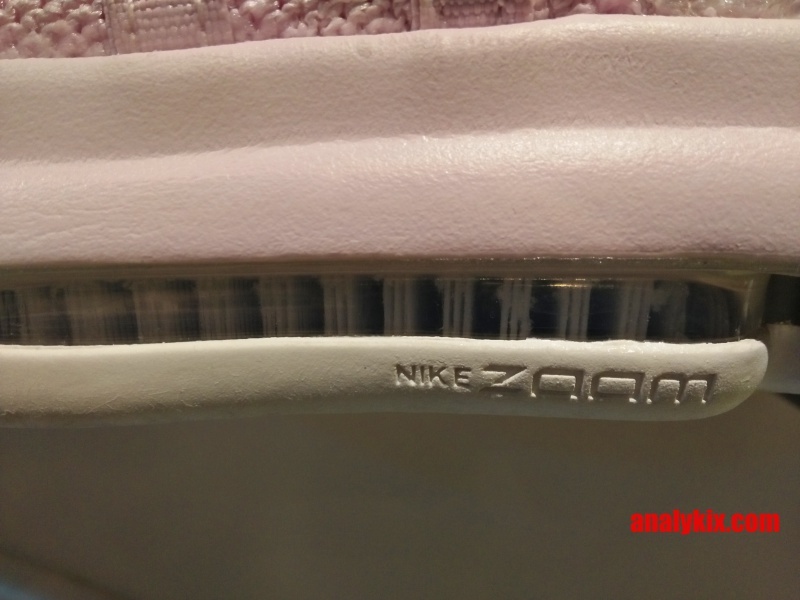 Just like the regular version of the Nike KD 10, the upper is still structured and protected and it still has the Max Zoom unit underneath for cushioning (full-length). 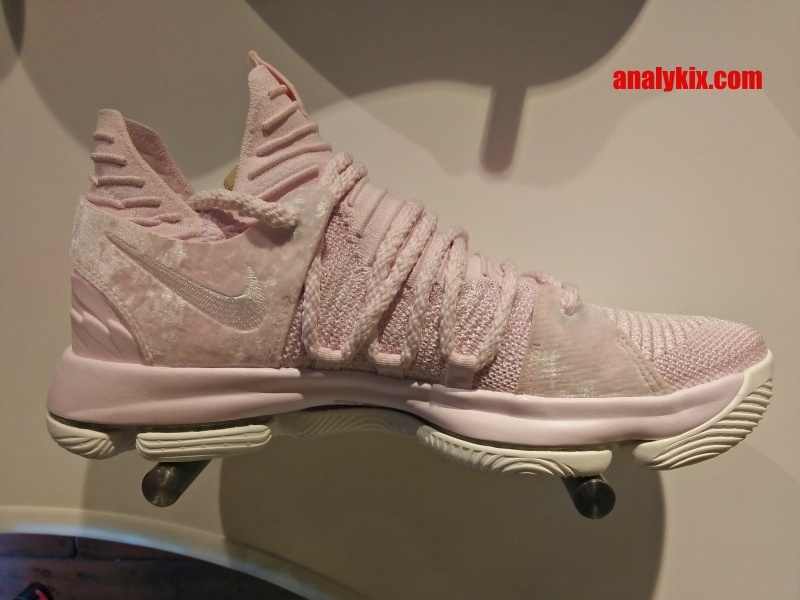 And just like any other Aunt May colorways, a part (I think) of the shoe's cost will go to the Kay Yow cancer research organization. 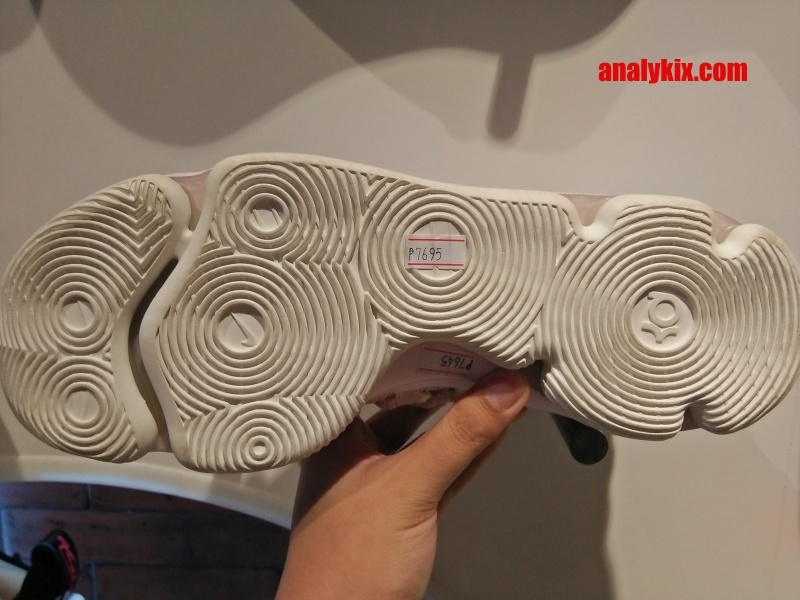 If you are interested, there are some pairs available at Titan Vertis North for Php 7,695.